Electronics & Computer Software Export Promotion Council (ESC) India’s apex trade promotion organization is entrusted to facilitate India’s electronics and information technology exports to global markets. INDIA IT SHOW facilitates a building of competencies by providing Indian participants an in-depth understanding of technology, market development and demand dynamics which assists in strengthening their foothold globally. 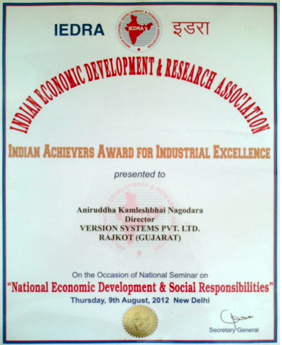 IEDRA has been formed for the economic and social development of individuals and organizations. It is an operating on national and international levels with the object of promoting the economic welfare of all nation’s. The association formed a Managing Committee of members from diverse fields of economic and social activity. 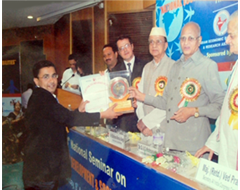 And our Version Systems has been awarded for the “Indian Achievers Award for Industrial Excellence” on the national seminar organized for National Economic Development & Social Responsibilities in the year 2012. Successful companies are driven to deliver quality – from the way they operate to the customer service standards they establish and the products they deliver. Certification is the most credible way to demonstrate excellence and drive continuous improvement. 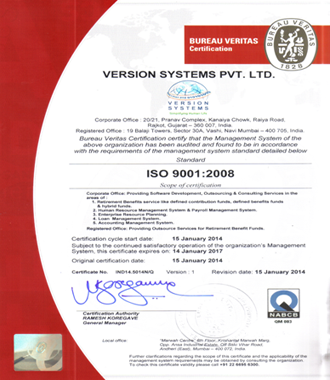 VSPL is feeling proud by deserving the BVQI ISO 9001:2015 certification. 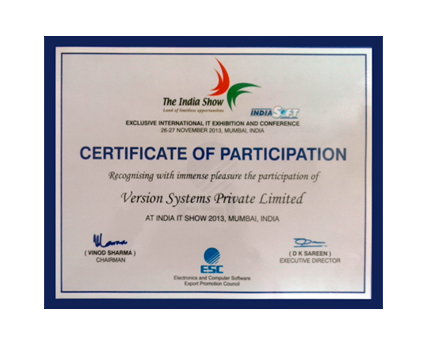 ISO certification is proof of our organization’s ongoing commitment to quality and customer satisfaction. And Bureau Veritas Certification’s proven track record and global expertise can help you streamline your business practices, comply with regulations and achieve your market goals.